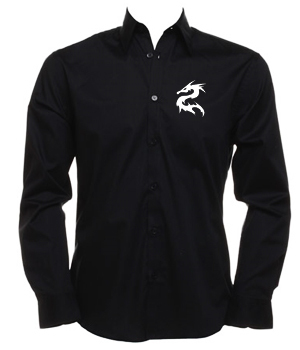 Comfort, stretch fabric, long sleeved black shirt with awesome Head Space Dragon chest print in white. Plus white HEAD SPACE text on shoulder. Comfort, stretch fabric, long sleeved black shirt with awesome Head Space Alien chest print in white. Plus white HEAD SPACE text on shoulder.